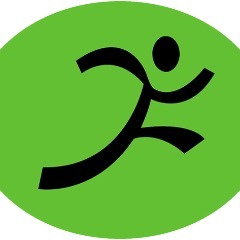 Emersons Green Running Club (EGRC) was formed in the Summer of 2012 to provide a running club environment to the residents of North-East Bristol and beyond. Bringing together people with a common interest in running, we provide a basis for fitness and social activity within a club ethos whereby members and friends give support and motivation to each other. For more about us and our programme of activities, please see www.emersonsgreenrunningclub.co.uk or our Facebook page. PLEASE NOTE: CLUB MEMBERSHIP IS UNTIL THE END OF FEB 2020 REGARDLESS OF THE DATE OF PURCHASE. IF YOU WANT TO JOIN WITH EA AFFILIATION IT WILL COST £15 EXTRA, WILL NOT BEGIN UNTIL APRIL 2019, AND WILL END IN MARCH 2020.